Plastics move the world – particularly in connection with the major challenges faced by our modern society. Incredibly versatile, lightweight, safe, durable, economic and impressively energy-efficient – with their multitude of positive properties, polymers are indispensible in most areas of our daily lives. And the material’s success story is far from over, as it moves into new areas of application all the time. Plastics move our lives in more ways then one, both in the figurative and the literal sense. About 3,100 exhibitors will document this enormous potential at the K 2013, the largest international trade show for plastics and rubber, which starts on 16 October and ends on 23 October in Düsseldorf/Germany. Selected exhibits will also be presented at a special show with the title “Plastics move the world”. They illustrate the many improvements already attributed to plastic products today and their potential contribution to future challenges, e.g. by protecting global resources in the future. The special show in hall 6 takes a broad approach to the meaning of the word “to move”. It includes not merely the direct contributions of plastics to different areas of mobility, but also emotional aspects, e.g. their effect on art and design, and their potential for solving future problems such as demographic growth, increasing energy consumption and climate change. As usual, the special show will be hosted in a special area which provides a combination of information, interaction and show elements. The focus will be on five topical areas which represent the vast applications and properties of polymer materials. The motto “Plastics move – people” for example focuses on personal mobility with the help of cars, trains, public transport and aircraft as well as on the mobility of the disabled, who benefit from the ongoing advancement of modern aids. The sustainability of plastic products is taken into account by all topical areas. Emotional aspects are also considered. Polymer materials often move people in sports or art – in both categories the show presents surprising examples of the potential of plastics. This also concerns competitive sports, sports for the disabled and leisure sports. Without polymer materials, modern design would not be possible. These materials can be found in theatres and museums as well as in architecture. 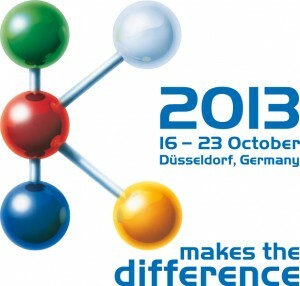 Innovations and visionary developments are presented in the “Plastics move – the future“ section of the special show. This includes energy-efficient living as well as future medical applications, water treatment and the food supply for a growing global population. Polymer materials act as versatile troubleshooters in many areas of application. In addition to presentations, the special show also features VIP lectures as well as daily discussion panels (except for Sunday and the last day of the exhibition) with experts from science and the industry. On the second day of the trade show, the first VIP, Bertrand Piccard, renowned pioneer in the are of solar-powered aircraft, will present his project. His Solar Impulse craft is currently on its longest mission, crossing the USA from San Francisco to New York using only solar energy. In 2015, he plans to complete a non-stop flight around the globe with a solar-powered aircraft. The daily discussion panel will also deal with complex issues such as marine debris, which threatens oceans and coasts. Due to the fact that these discussions are attended by international K 2013 visitors and exhibitors, they will be conduced alternately in German and in English. The special show’s traditional “Youth Day” will take place on Sunday, 20 October. This event will feature several panel discussions between young adults and high-ranking scientists and representatives of the plastics industry. The special show will provide interesting information, not just for exhibitors and specialists visiting the K 2013, but also for a wider public audience. This well-established event enhances the presentations given by exhibiting companies as it provides an insight into pioneering, innovative aspects and promotes the unique position of the K Düsseldorf as a trend indicator and innovation forum for the entire industry. 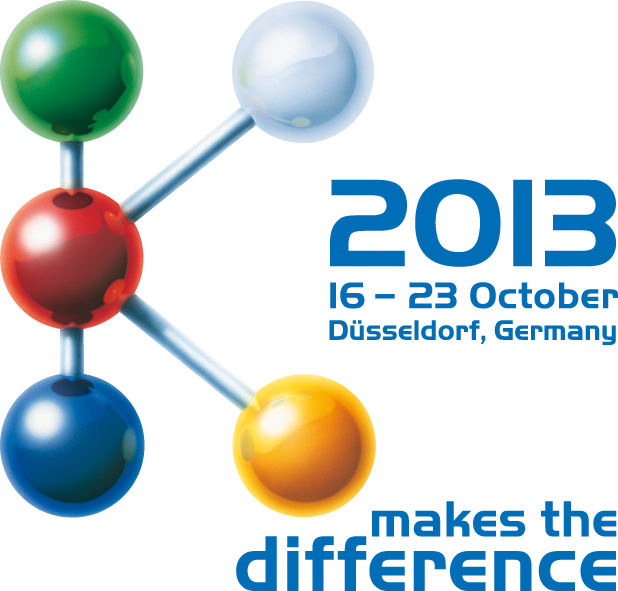 The show is hosted by the German plastics industry under the aegis of PlasticsEurope Deutschland e.V. and Messe Düsseldorf.